Today there’s bad news for Amazon and all the other companies and individuals that are waiting for the FAA drone regulations: They’re not coming until 2017—at the earliest. Originally targeted for September 2015, the Government Accountability Office now says that it will realistically take about two more years to finalize the FAA’s plan for drones. According to the Washington Post, the GAO’s director of civil aviation Gerald Dillingham said, “The consensus of opinion is the integration of unmanned systems will likely slip from the mandated deadline until 2017 or even later.” Even later?? Drones pose significant safety risks, and it’s reassuring that the FAA is taking its regulatory job seriously, but this is ridiculous. While the agency tries to figure out what to do, everyone else is finding ways to move ahead with drone use on an individual or industry scale. If the FAA waits too long to implement regulations it will at best stifle innovation and at worst struggle to maintain authority. If you would like to learn more about drones, register to attend one of the ATI courses below. Spaceport America is lobbying New Mexico legislators to expand legislation to provide protection to suppliers and manufacturers of private spacecraft’s. New Mexico already has legislation exempting operators from being sued by passengers, so long as the passenger has signed an informed consent. However, the current exemption does not apply to suppliers and manufacturers, could be liable if or when an accident occurs. Without such protections space tourism companies, such as Virgin Galactic, may be forced to leave New Mexico for states that provide greater liability protection. For example, Virginia 2007 legislation addressing immunity from tort claims relating to space flight broadly defined “space entity” to include not only an operator but also “any manufacturer or supplier of components, services, or vehicles that have been reviewed by” the FAA as part of issuing such a permit or license.. Va. Code. Ann. §§ 8.01-227.8 to 8.01-227.10. However, even if New Mexico passes legislation similar Virginia’s, it is unclear if that legislation would provided the desired protections. Discussing the proposed legislation, attorney Guigi Carminati stated: “I understand the impetus to try to match other states, but right now there is no guarantee it’s enforceable.” There are several potential problems with immunizing legislation. First, it is unclear whether any such state legislation would be pre-empted by federal law. Second, informed consent waivers are not always enforceable in court. Although there is a substantial body of case law regarding when informed consent for dangerous activities is and is not enforceable, there is no case law relating to space launches. Despite the uncertainties surrounding informed consent legislation, one thing is clear. The failure to pass a liability exemption for suppliers and manufacturers could cripple New Mexico’s commercial space industry. Former FAA official, Patti Smith, noted that “since other states have extended the liability exemption to suppliers, New Mexico must do the same to remain competitive.” Otherwise facilities such as Space Port America, New Mexico’s recently completed $200 million commercial spaceport, may be left deserted. Barring bad weather, NASA said the space shuttle Discovery mounted atop the space agency’s 747 Shuttle Carrier Aircraft will make a series of low passes – 1,500 ft. around parts of Washington DC on April 17 between 10-11 am eastern daylight time. The exact route and timing of the flight, which has the blessing of the Federal Aviation Administration, depends on weather and operational constraints, NASA said. The aircraft/shuttle combo is expected to fly near a variety of landmarks including the National Mall, Reagan National Airport and National Harbor. After its done taking a tour of the area, the aircraft will land at Dulles Airport which is next door to the Smithsonian’s National Air and Space Museum, Udvar-Hazy Center where Discovery will be towed and ultimately displayed. 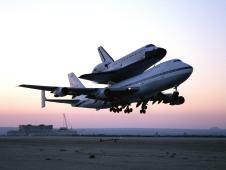 The other retiring shuttles Endeavour and Atlantis will make their retirement trips later this year with Endeavor taking the piggyback 747 flight from Florida to Los Angeles this fall. Atlantis will be transported from the Orbiter Processing Facility to the Kennedy Space Center Visitor Complex in November, NASA said. The FAA has granted two Certificates of Authorization (COA) to the City of El Dorado to fly Unmanned Aircraft at El Dorado Municipal Captain Jack Thomas Memorial Airport for the next 12 months. 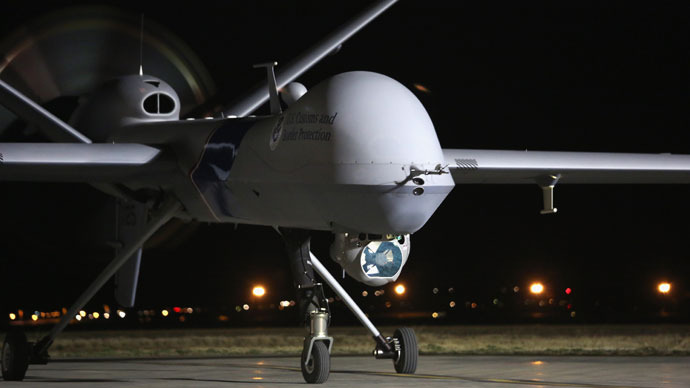 The COAs are renewable and is granted by the FAA to public entities desiring Unmanned Aerial Systems (UAS) operations and allows the entity to use defined airspace for specified times and includes special provisions unique to each operation. The City of El Dorado applied for the COAs earlier this year after signing an agreement with Flint Hills Solutions (FHS), a Butler County high technology UAS solutions provider. The agreement between the City of El Dorado and FHS includes the delegation to FHS by El Dorado to be the COA technical application administer as well as the UAS designated operator for the City at El Dorado Airport. Both the City of El Dorado and Flint Hills Solutions have agreed to work together to jointly promote the Airport as “UAS Friendly” to all public entities including emergency responders, law enforcement, fire departments, as well as state and federal organizations, requiring airspace, facilities and technical support to train and operate unmanned aircraft in support of their Public Safety mission objectives. The city and FHS have plans to construct a new operations and training center at El Dorado airport this year. FHS is an advanced technology company offering a broad and complete set of UAS products and services including rapid prototyping, payload and systems integration, flight operations services for emergency response and aerial inspections, FAA National Airspace System (NAS) development, training, as well as turnkey Unmanned Aerial System solutions. FHS customers include major Commercial and Defense Companies, Law Enforcement, Fire and HAZMAT Organizations, Homeland Security, Emergency Management Organizations, Department of Defense and the National Guard.